California's jails and prisons hold far more people with severe psychiatric illnesses than state hospitals, according to a recent report from the Treatment Advocacy Center and the National Sheriffs’ Association. “For a state with 38 million people -- 1 in every 8 Americans lives in California -- there are almost no public psychiatric beds available for individuals with serious mental illness,” the report says. Four state hospitals -- Metropolitan, Patton, Napa, and Atascadero -- have just over 4,500 beds, but 88 percent of them are reserved for mentally ill individuals who have been charged with crimes, according to the report. Another state hospital at Coalinga is used almost exclusively for sexually violent predators. 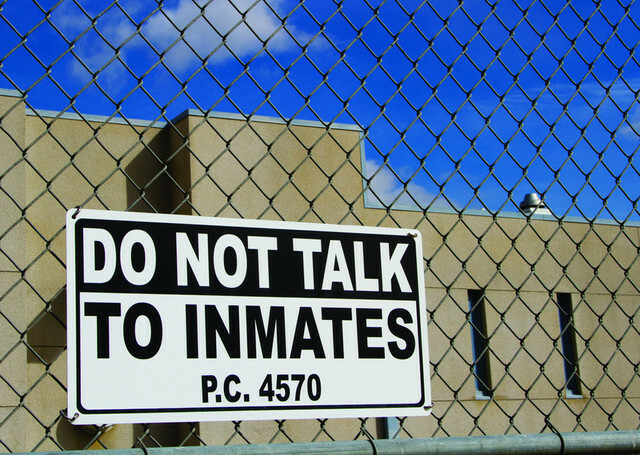 California's major prisons house more than 33,000 mentally ill inmates. That’s 28 percent of the 120,000 inmates in those prisons. In addition, 26 of California’s 58 counties have no psychiatric inpatient beds. “For mentally ill individuals who need to be hospitalized briefly to become stabilized on medication, this leaves few options,” the authors of the report write. The Affordable Care Act has expanded treatment coverage for those with certain mental illnesses, but some advocates say it doesn’t go far enough. It doesn’t require states to have a certain number of inpatient psychiatric beds, for example. California jails and prisons are also ill equipped to effectively treat patients with mental illness, the report says. Last Thursday, a federal judge ruled that the state’s treatment of mentally ill inmates is unconstitutional because it involves cruel and unusual punishment through excessive use of pepper spray and isolation. The Associated Press reported that the ruling came after the public release of videotapes made by prison guards. The footage shows the guards throwing chemical grenades and pumping large amounts of pepper spray into the cells of mentally ill inmates, some of whom are heard screaming. “Most of the videos were horrific,” U.S. District Court Judge Lawrence Karlton wrote in his 74-page ruling. Karlton ordered the state to update its polices on the use of pepper spray and isolation units, but did not ban the methods.